mwe3: Can you tell us where you were born, where you grew up and where you live now and what you like best about it? Gandalf: I was born and still live in Pressbaum, a village 15 miles west of Vienna. It is a very green sort of area, surrounded by the Vienna Woods. Nature for me is very important, I can take long walks through the forest and across meadows, really good to relax and to become inspired for writing music. mwe3: How long have you been a musician? When did you start studying music, what your early musical studies were like and what instruments do you play? Gandalf: I started playing music when I was twelve, first on self-built guitar. At the age of fourteen I founded my first band, playing music from the Sixties. I am a completely self-taught musician, never had a teacher, learning basically by listening to my favorite records and trying to reproduce it on my guitar. Later also started playing piano and keyboards to be able to create the soundscapes I had on mind. mwe3: What artists and recordings have made the biggest impact on your musical style as well as inspiration, both from the rock, World Music, classical and electronic music worlds and any other worlds. Gandalf: Since my early childhood I had a fondness for instrumental music. I especially loved music by the British guitar band The Shadows, and also movie soundtracks, as well as some pieces of classical composers like Ravel, Debussy and Tchaikovsky. When I started to search for my personal musical style I was influenced by bands like Genesis, King Crimson and Pink Floyd, who integrated classical elements into rock music. Besides this I always was and still am open to music from other cultures like Africa, India and Ireland. mwe3: What were the inspirations musically or otherwise, behind your 2013 CD Dreamweaver and can you say something about the musicians who you recorded the album with? Gandalf: During the recent couple of years I was performing live mostly with just two musicians, Merike Hilmar (cello) and my son Christian Strobl (percussion). Compared to earlier periods, when I used to travel with a very elaborate keyboard equipment and a full band-lineup, these days we play my music very much reduced to the basics, pieces originally written on acoustic guitar or piano and I am enjoying this very much. So I tried to capture the magic of what we do live on stage on the production of Dreamweaver - music sounding very pure and natural, mostly performed on acoustic instruments. You may call it neoclassical, maybe for future generations it is going to be the classical music of our days, who knows. mwe3: Tell us something about the guitars you use on the Dreamweaver album as well as your electric guitars youve used on previous albums, including the e-sitar which you feature live. 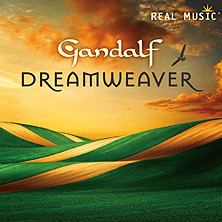 Gandalf: On Dreamweaver I mainly used a Martin out of the Performing Artist-Series and a Spanish guitar with nylon-strings. Some clean electric sounds created on a PRS. On other albums I often played a Gibson Les Paul or a Fender Stratocaster. The electric sitar is a Collins, much easier to handle on stage than a real sitar. mwe3: How many albums have you released to date and what albums of yours do find are your most popular, definitive and influential and can you tell us about your working with Steve Hackett in the past? Gandalf: Must be about 35 studio albums up to now. 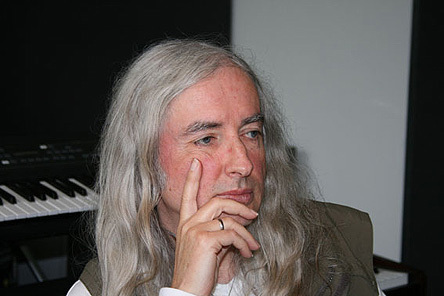 Besides the album Visions (1982) that captured a certain magic and was responsible for my early success throughout Europe, real milestones have been Symphonic Landscapes (1990), a composition for symphonic orchestra, and Sacred River (2006), a long-term bestseller on the Real Music label. One of my personal favorites is the album Earthsong & Stardance (2011), a composition for orchestra and choir including lyrics in Sanskrit, on the occasion of the 30th Anniversary of my career. 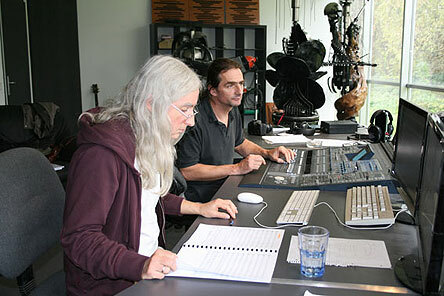 The cooperation with Steve Hackett for the album Gallery Of Dreams was somehow like connecting with some of my musical roots. He had a lot of influence on the development of my guitar-style during the seventies and early nineteen eighties and it was a real pleasure working with him. The cooperation was very friendly and uncomplicated, and it was a great experience also performing together on stage. mwe3: How do you like working with Real Music, how did you meet the label and are you planning further albums with them? What do you have planned musically for 2014 as far as writing new music, recording and also any live concert appearances or other collaborations you might be planning? 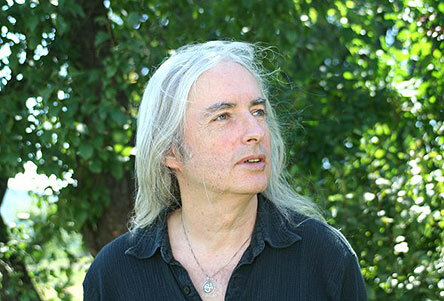 Gandalf: The cooperation with Real Music turned out to be very fruitful and a benefit on both sides. We have been working together now for ten years and it proved that there is an audience for my music all across the planet and they know how to spread and sell it. So as long as things work out in a good way we will certainly continue. Currently I am working on a soundtrack for a TV-documentary about megalith-buildings from the Stoneage, the music is also planned to be released as an album. No big plans for 2014 at this stage, I am rather working from one step to the next.